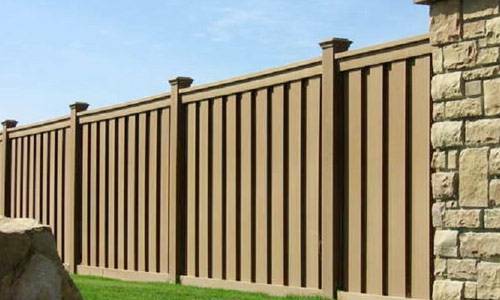 $500 OFF Any Installed Composite Fence of $5,000 or More. Choose from a Wide Selection of Colors and Styles. Valid through April 30, 2019. 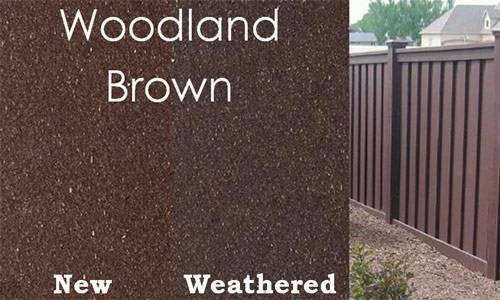 Combining the look and feel of wood with the minimal maintenance qualities of synthetic building materials, composite fence materials can be a great alternative to wood or PVC vinyl. 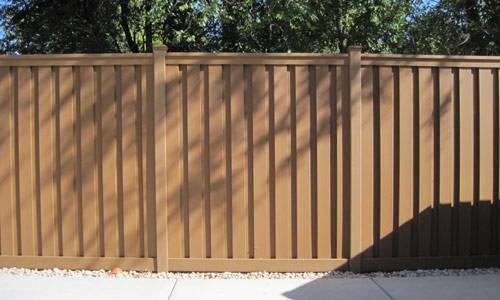 Available now from our Minnesota Fence Company, the new Trex Seclusions fence style offers Twin Cities property owners the high style privacy fence they’re looking for without the need for time consuming maintenance. 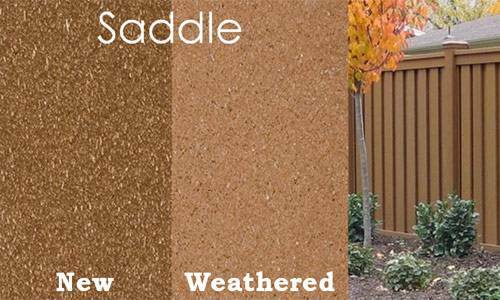 Available in three beautiful natural colors, Seclusions fences are made of 95% recycled materials. This material will never warp, crack or rot, as wood often does, and your new residential fence is covered by a 25-year materials warranty against those defects. It’s mildew-resistant, too, won’t be attacked by insects. 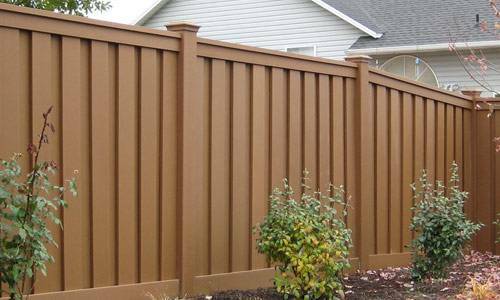 You’ll never have to paint, stain, or otherwise bother with your new fence. 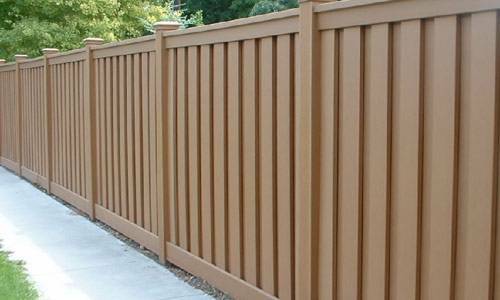 Over the years, a Trex fence weathers gently and fades slightly, while retaining the original color and tone. The only maintenance it needs is an occasional soap-and-water wash.
Heights – 3′, 4′, 5′, 6′, 7′ and 8′. Some heights are cut from stock picket lengths. 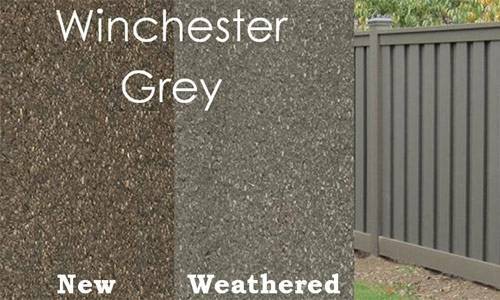 Colors – Choose from Saddle, Winchester Gray, and Woodland Brown. Posts – Hollow composite posts. Rails – Top rail fits over pickets. Aluminum bottom rail, with composite cover. Assembly Hardware – Heavy-duty brackets and screws attach rails to posts. Gate Post Stiffeners – Metal inserts provide extra strength for gate posts. Interlocking Pickets – These ensure privacy and add strength to the fence. Gate Hardware – Internal steel gate frames with specially designed hinges and latches. 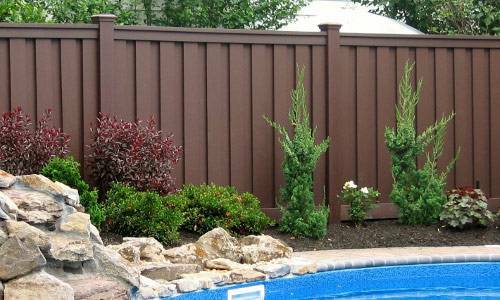 Accessories – Choose from three post cap designs to customize your fence. 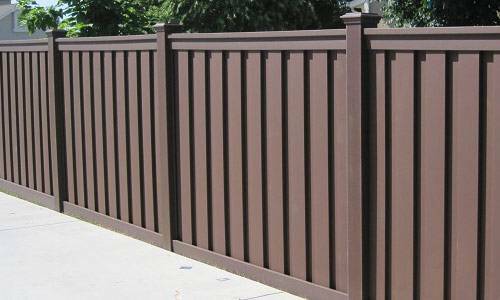 If you prefer a durable, environmentally sound alternative to traditional wood, our Minnesota fence installation company stocks the complete line of Trex composite fence materials at our convenient Twin Cities location. 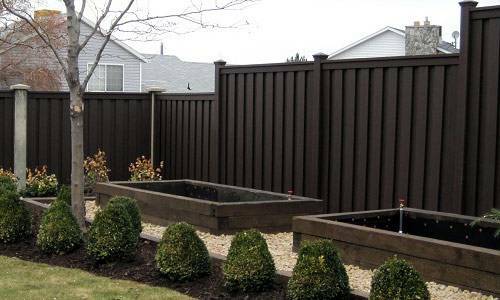 Offering the look of wood, but with the maintenance-free qualities of PVC vinyl fencing, its use of renewable, recycled materials makes it a popular choice with many homeowners in the Minneapolis and St. Paul area. 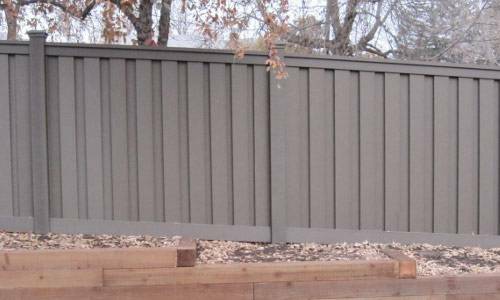 You can build your own composite fence with materials from our supplies company, or have our experienced installation team do the job for you, efficiently and at an affordable price. Our experienced sales staff offers a free in-home consultation regarding the design and installation of your fence. 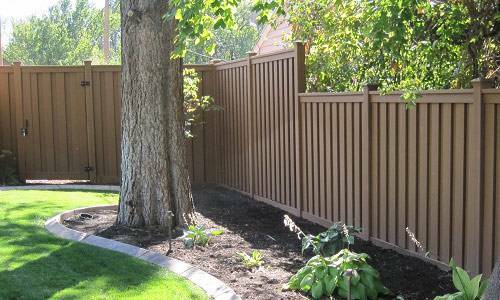 We give you an accurate estimate of how much your new composite fence will cost. Because we purchase large quantities of building materials from the manufacturer, we get deep discounts, which we pass on to our customers. You can count on us for highly competitive pricing, along with top-quality products, expert installation and exceptional customer service on every job. As the leading fence contractor in the Minneapolis St. Paul metro area, we know that every fence is built for varied reasons and tastes. That’s why we offer a full range of materials and designs, along with the expertise you need to help you make the best choice for your project. 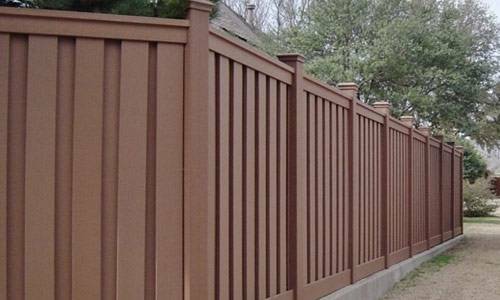 Environmentally conscious composite fencing is growing in popularity in Minnesota, and our fence installation and supplies company has researched the marketplace and chosen Trex products for their unmatched quality, attractive designs, and long-lived beauty. Visit our convenient Twin Cities showroom to see this exciting new product for yourself or contact us for a free consultation and price quote. We’d love to meet you and show you the full range of options.